Date & Time Details: Check-in: 3:00-5:00 for those driving and upon arrival for those taking the shuttle. Closing: Mid-morning on the last day of the retreat. As our capacity for wisdom and compassion deepen, our ability to bring about real and transformative change both internally and externally increases. During this weeklong mostly silent retreat we will practice with the classic Mindfulness practices for developing clear seeing, wisdom and compassion. With greater clarity we are better able to understand our internal processes as well as key issues of our time, and how to address them with greater awareness and balance of mind. The course, open to all, will be held in the context of silence, with a few structured intentional dialogue exercises towards the end of the retreat. The format each day will include alternate periods of silent sitting and walking meditation, outdoor time and Dharma talks given by the teachers. JoAnna has been exploring and practicing multiple traditions since 1999. In 2005, her focus landed on Buddhism and Vipassana meditation. 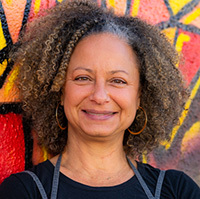 Helping communities and individuals that don’t typically have access to traditional dharma settings, social/racial justice, and building multicultural community is top on her list of priorities. She is an empowered teacher in the Spirit Rock, IMS lineage. For more information, visit www.joannahardy.org. 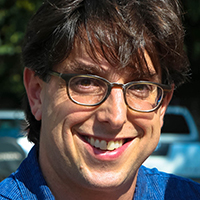 Matthew Brensilver, PhD, offers retreats at Spirit Rock Meditation Center and the Insight Retreat Center. For more than a decade, he taught for Against the Stream Buddhist Meditation Society. He continues to teach at UCLA Mindful Awareness Research Center about the intersections between mindfulness and mental health. He spent years doing research on addiction treatment at the UCLA Center for Behavioral and Addiction Medicine and is interested in the unfolding dialogue between dharma and science.